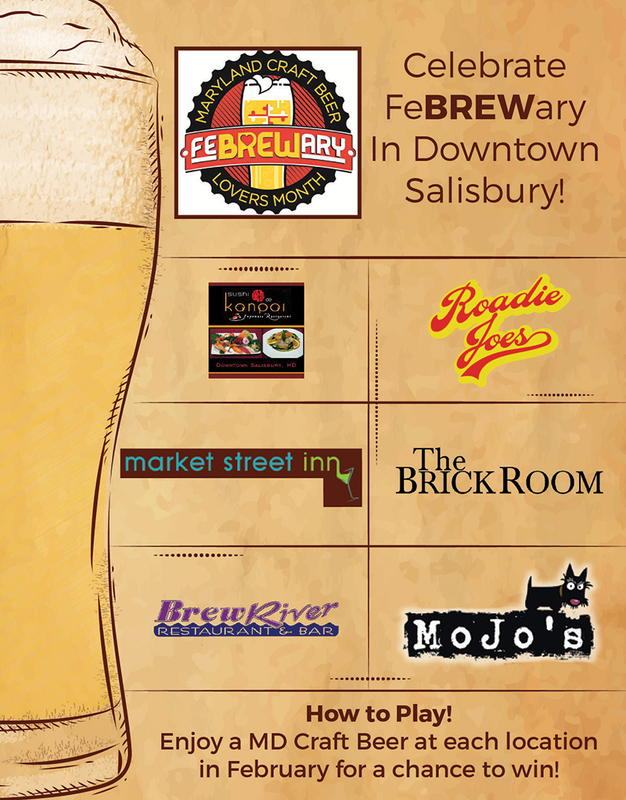 February 3rd Friday in Downtown Salisbury - Eat. Drink. Buy Art on Delmarva. February 15, 2019 is the next 3rd Friday in Downtown Salisbury. This month’s event is hosted indoors only – so that means no artists and crafters outside on the street – but there is still tons to do and see inside. So bundle up, grab your friends, and head out for a night on the town! 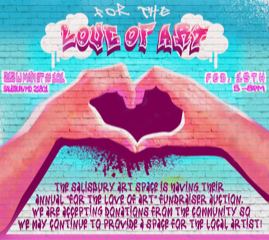 Salisbury Art Space will present “For the Love of Art” Auction and Fundraiser, from 5:30 – 8 p.m. featuring donated art pieces to benefit SAS immediate expenses – Salisbury’s only community nonprofit dedicated to the visual arts. The auction will feature special guests Mayor Jake Day and artist Martha Graham and the night will also be a night to honor Salisbury Art Space volunteers. Salisbury Art Space is located on the lower level of the Salisbury University building, off the Plaza. Salisbury University Art Galleries | Downtown, also located in the SU Building, is hosting METHODS: 2019 Art Department Faculty Exhibition, with an opening reception for the exhibition during 3rd Friday from 5 – 7 p.m. There will also be an informal talk led by Gallery Director, Elizabeth Kauffman at 4 p.m. The exhibition focuses on how the creative process often mirrors the scientific method: artists make observations of the world around them, conduct experiments and then analyze those creative risks to form a conclusion or finished piece. Salisbury Wicomico Art Council, also known as SWAC, will be offering indoor space to host a few 3rd Friday vendors in their new location on Church Street next to St. Peters Church. You can find SWAC’s new location by looking for the historic brick building titled “City Hall” – as the building once served as the Salisbury’s City Hall and the Fire House, originally built in 1896. SWAC will also be offering musical performances, refreshments and kids’ crafts. The Charles H. Chipman Cultural Center will be hosting one of its bi-monthly Laff n Jazz Lounge events, held every first and third Friday of every month. The event starts at 7 p.m. and online tickets are only twenty dollars, and includes local talent, music, comedy, poetry, and food. The Chipman Center is located across Route 50 on Broad Street, and is an extremely important historical landmark in our community. The downtown bars and restaurants are ready with live music for 3rd Friday! Pick up a FeBREWary game card, support MD craft beer and collect signatures during the month of Feb for a chance to win cool prizes. Roadie Joe’s Bar and Grill will have amazing food specials, plus the sweet serenades of the Hannah Cassidy Duo from 6 p.m. to 9 p.m. and DJ Tops Cut Off from 10 p.m. to close. Late night, Brew River will be hosting a UMES Homecoming Party, Mojos will have DJ Vybe and Market Street will have DJ Juan.